I’ve spent the last several years using NetworkManager on my laptop, mostly because I needed an easy way to connect to my work’s VPN. This worked fine at home, but for whatever reason NetworkManager, Workantile’s wireless hardware, and my laptop do not get along. I put up with this problem for well over a year before finally deciding to switch back to using WICD to manage my network connections and find something else to manage VPN. straightforward right-click menu to connect to different VPN profiles (defined in /etc/vpnc/). For now users need to write vpnc scripts by hand, but I would eventually like to add in a connection editor so config files don’t need to be modified by hand. 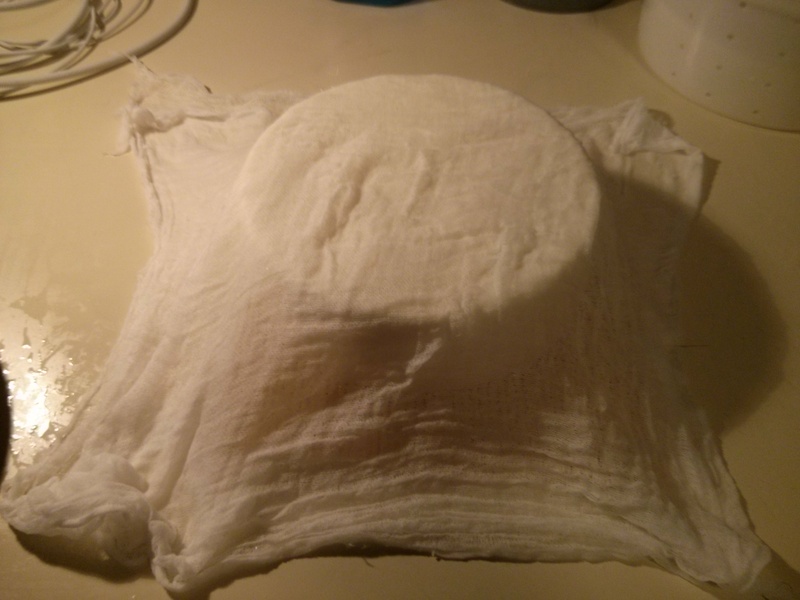 A wheel of Farmhouse Cheddar air drying under a piece of cheesecloth. This cheese will be flipped twice a day until a yellowish rind develops on the edges. Farmhouse Cheddar is cheddar with a few shortcuts. Traditional cheddar is waxed and aged for three to six months before enjoying, but farmhouse cheddar will be ready with just a few days of air drying. 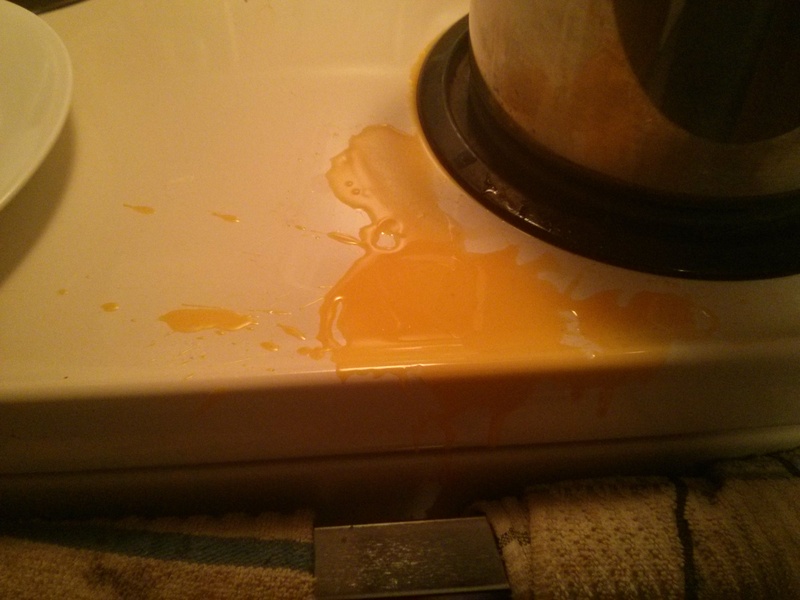 Wax has a low melting point and is very flammable. 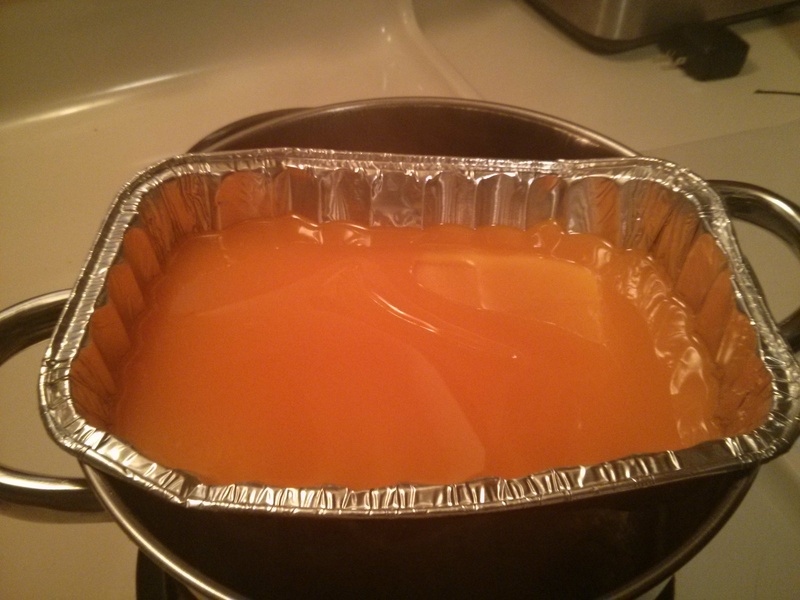 Always melt it using a double boiler setup. DON’T drop the cheese into the wax. I still don’t want to eat an entire cheese by myself, even after aging, so I cut the wheel into quarters first. Aging cheese makes it sharper, so every piece I peel open should have a subtly different flavor. I’ve just reached the most difficult step of cheese making: deciding how long I want to wait before digging in! Dip cheese into melted wax then put on wax paper to dry. Repeat until entire cheese is waxed, using the paintbrush to seal in any gaps. Cheese can now be stored in the refrigerator for up to 3 months. 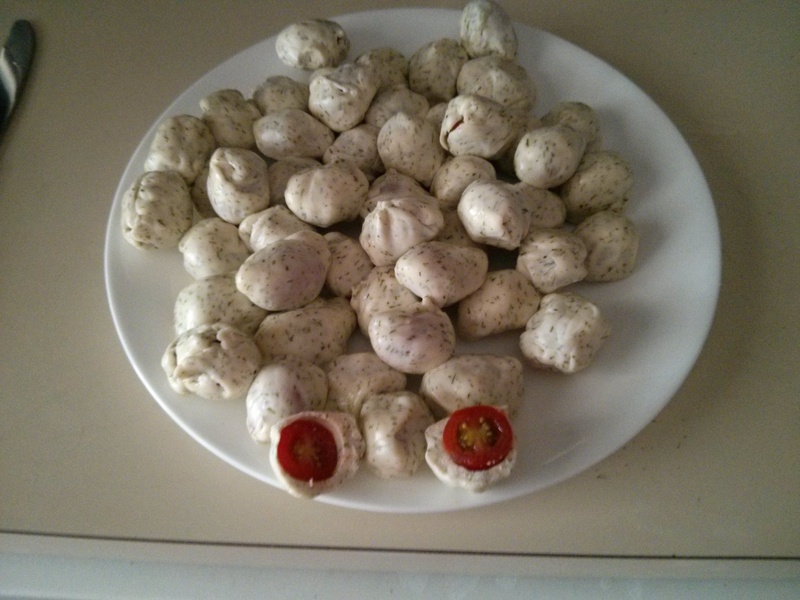 Tomatoes wrapped with dill mozzarella. Queso fresco curds right before pressing. Queso fresco will be pressed under 30 pounds of weight for 6 hours. 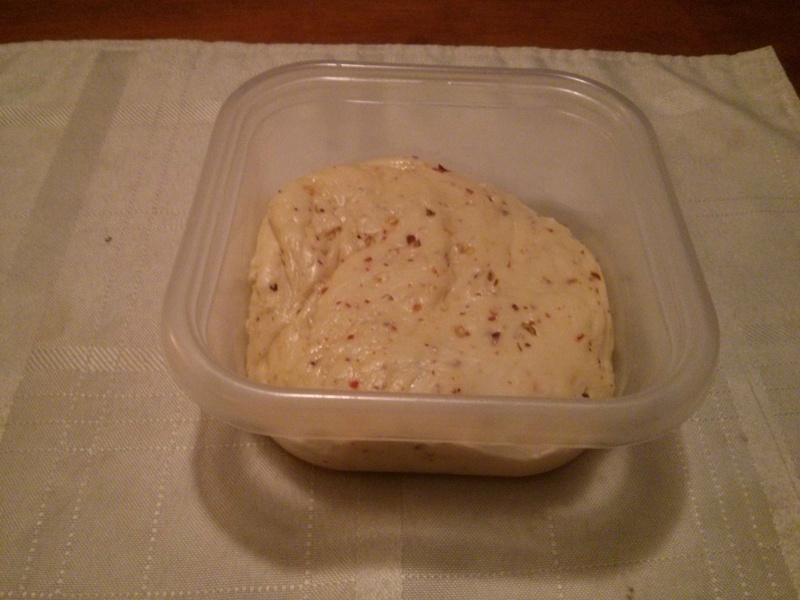 Mozzarella with red pepper flakes added.